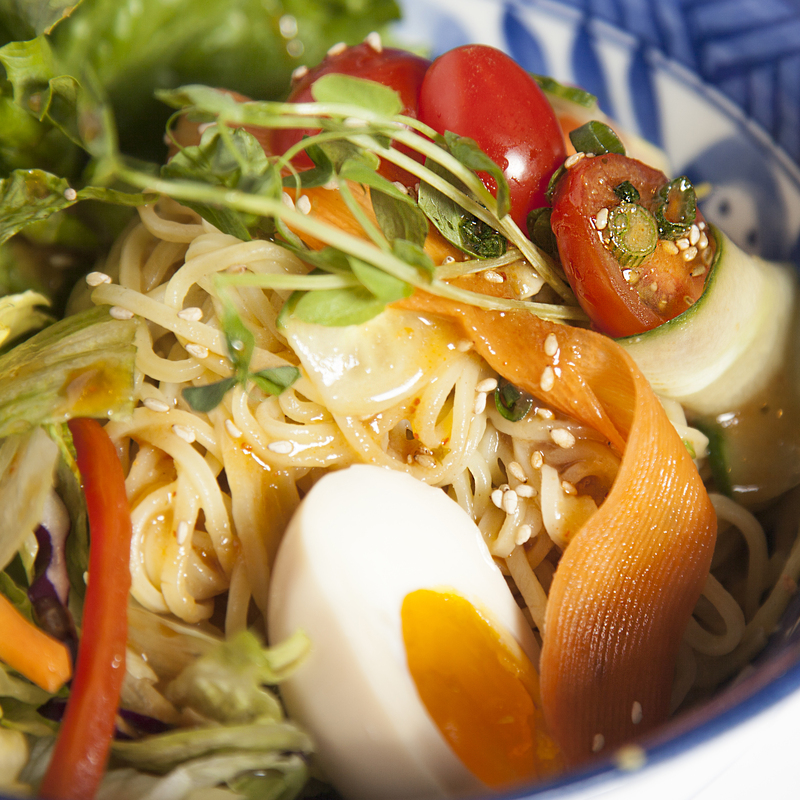 Cool Down With Cold Ramen Salad! 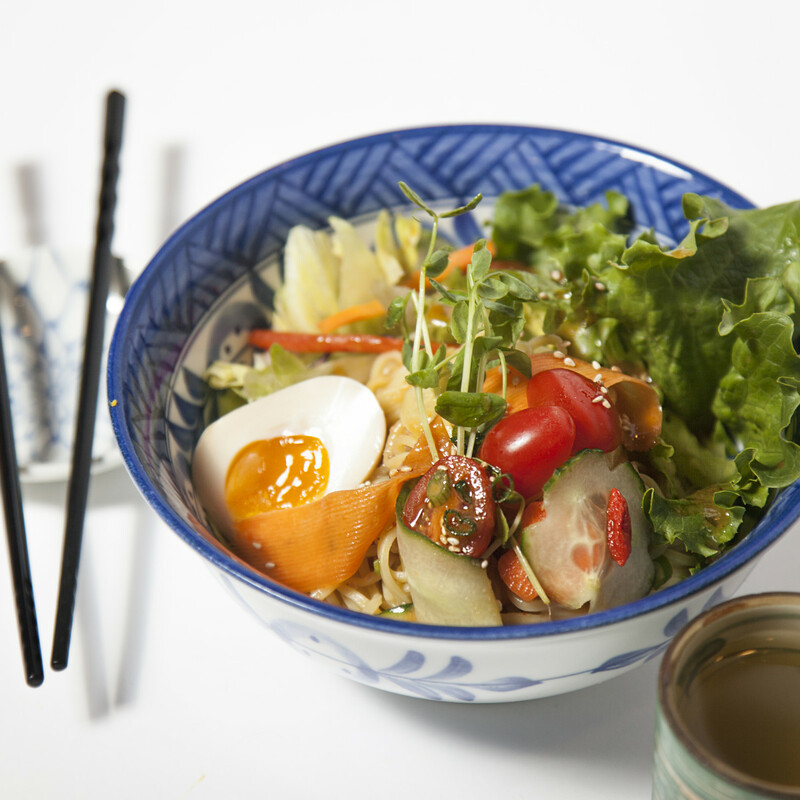 We are excited to announce the launch of our latest summer menu item: Cold Ramen Salad! In the depths of winter’s chill, the warmth and bright flavour of ramen’s broth and filling noodles are a comforting delicious choice. Although we trade crisp winter air and and swirling snowflakes for afternoons in the summer sun, we shouldn’t have to give up our favourite dishes! Cold ramen is perfect for indulging in the comforting flavours of ramen in a refreshing dish perfect for hot summer days. Ramen’s hearty taste comes from a blend of tonkotsu broth–a special pork bone recipe that simmered for over 8 hours– miso, shio or shoyu broth with additions like miso, spices, or marinated eggs for a well-rounded flavour profile. 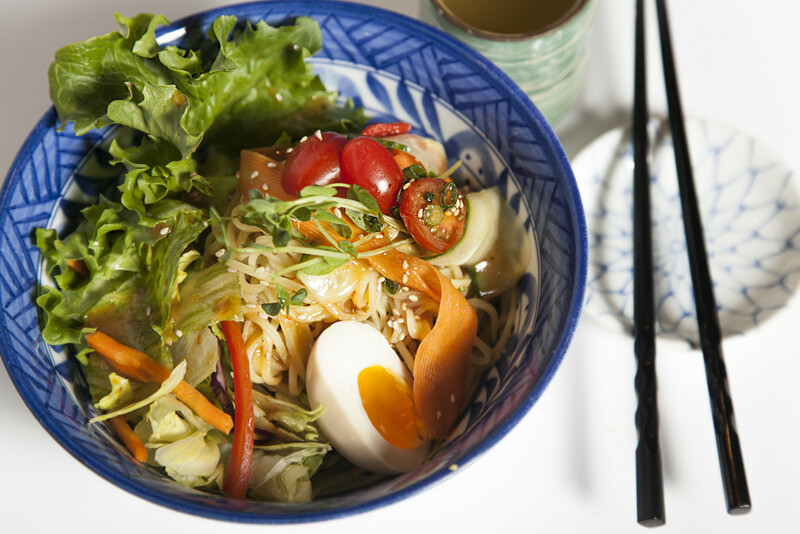 Cold ramen uses a bed of crisp lettuce to cradle a serving of ramen noodles, an egg, and gentle drizzles of miso dressing. Each dish is finished with a generous garnishing of Nomiya’s house-made pickled veggies, sesame seeds, green onion and peanuts. You can enjoy it vegetarian, or add chicken karaage! Cold ramen lacks the hot broth base of its parent dish but savoury pickled veggies and miso dressing make this a lighter refreshing dish. Miso creates a nutty, sweet and tangy taste that evokes the classic flavours you’ve come to love from your favourite bowl of ramen. Missing your favourite dish during the summer heatwave? Not anymore! Cold ramen is perfect for lunch or paired with a Hitochino Nest beer for a fun dinner out with friends. Colourful and brimming with vegetables and noodles, these cold ramen bowls are begging to be your next top post on Instagram.